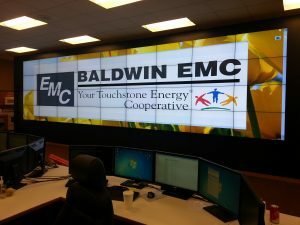 Baldwin EMC is a member-owned cooperative supplying electric service to nearly 70,000 meters throughout Baldwin County and southern Monroe County in southwestern Alabama. Their service territory is located between Mobile, Alabama and Pensacola, Florida, and includes beautiful Gulf Shores and Orange Beach which are popular vacation resorts on the snow-white beaches of the Gulf of Mexico. 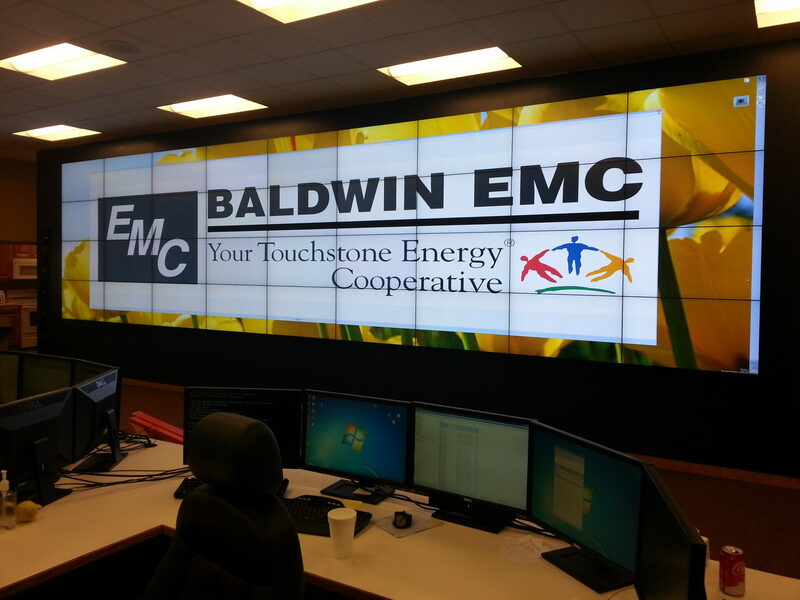 Replace existing map board with state of the art video wall and video processor. Display critical info from HD, SD and IP sources.